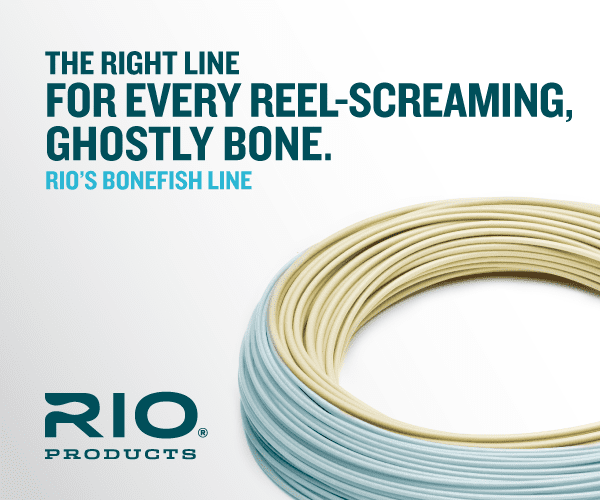 The Rio Bonefish Tropical is an updated line for 2013, and proves once again that Rio knows the needs of flats fly fishers who are targeting bones. 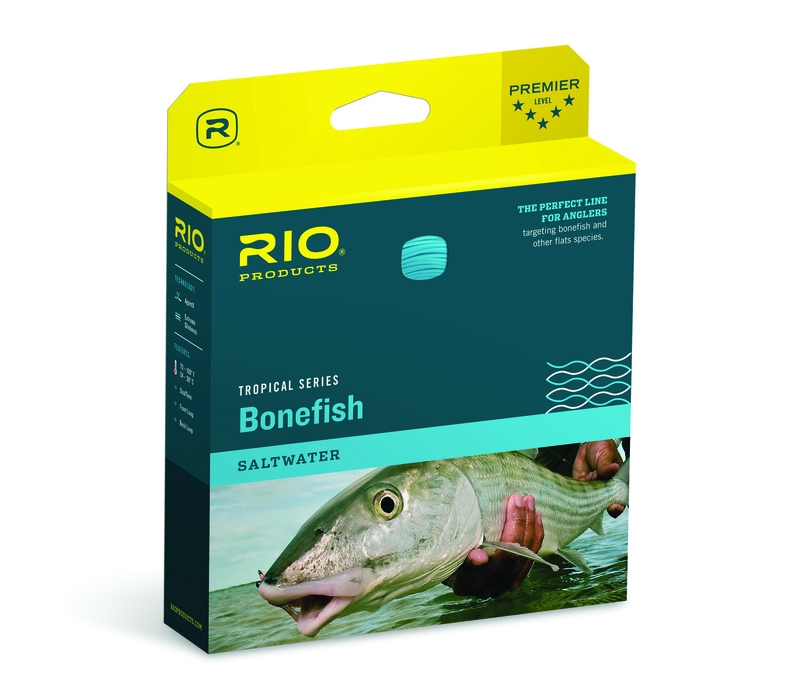 The moderately powerful head, teamed up with Rio's technically superior Tropical line coatings make the Bonefish fly line an excellent for all-condition, everyday flats fishing. 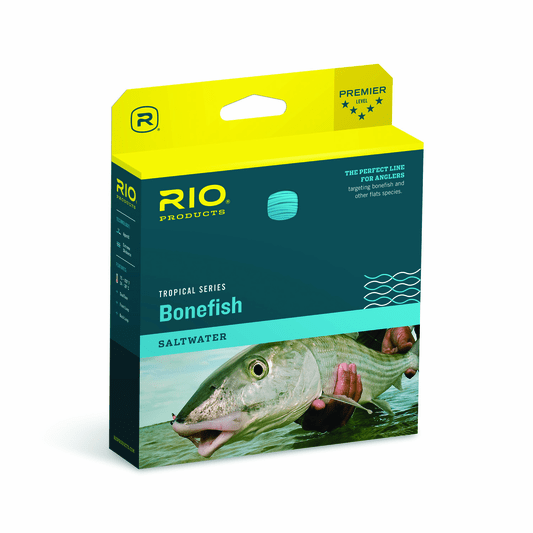 Guide Reviews, Video, and Sales on Rio Bonefish Tropical Fly Lines - Rio's number one line for flats fishing, day in and day out, season to season. Short and long casts, fast line speeds, accuracy, and ability to withstand the tropical heat - all this and more is welded into the Rio Bonefish Tropical series fly line. Most Unique feature: The 35.5 foot shooting head starkly distinguishes this fly line as the most aggressive among the Bonefish tropical specialty fly lines and is a great choice for achieving easy rod loading and executing quick, accurate casts. Line Taper: This Bonefish Tropical Series line has a flats fishing oriented head taper design that loads rods well for short and long casts, achieves highline speeds, and shoots for presentations to those fish that are almost out of range. Line weights available: the Rio Bonefish Tropical Series fly line is available in line wts. 5-9. Overall/Head Length: Approximately 100/47-49 increasing gradually at all line wts. Line floating properties: The Bonefish Tropical lines incorporate Rios Agent X and are super slick under tropical fishing conditions to enhance shooting ability. Welded Loops: The front and back ends of Bonefish Tropical fly lines deliver welded loops to ease the process of quick rigging to attaching leaders.